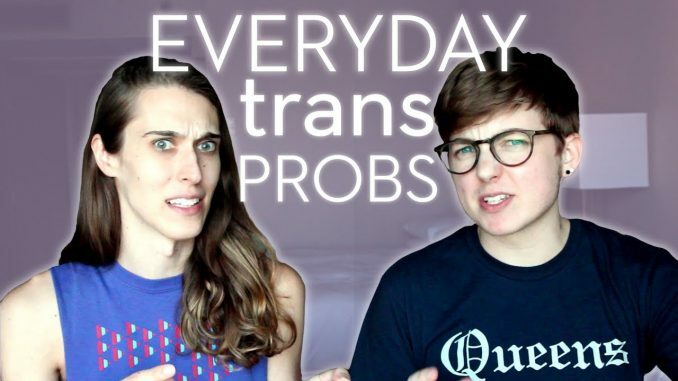 Transgender advocate Jackson Bird has posted a new video to his YouTube channel titled “Sh*t Trans People Deal With Every Day” and it’s an enlightening watch for cisgender people who want to gain a better understanding of what everyday life is like for transgender individuals. Riley J. Dennis, a non-binary trans woman, writer, and activist, joined Jackson for the conversation. The two began by discussing airport security and explained that, between x-ray machines and ID questions, they constantly worry about being outed as trans while going through the security line. “[If you get outed], you feel like you can’t even go to the bathroom,” Jackson said. He explained there’s the constant fear that a transphobic person will overhear and their paths will later cross in an airport bathroom or if they’re on the same flight. Although airport security is especially stressful, the concern about being outed during an ID check occurs in many places, like bars and clubs. “The bartender or bouncer has a place of power over you just for having that knowledge, which is so weird,” Jackson explained. 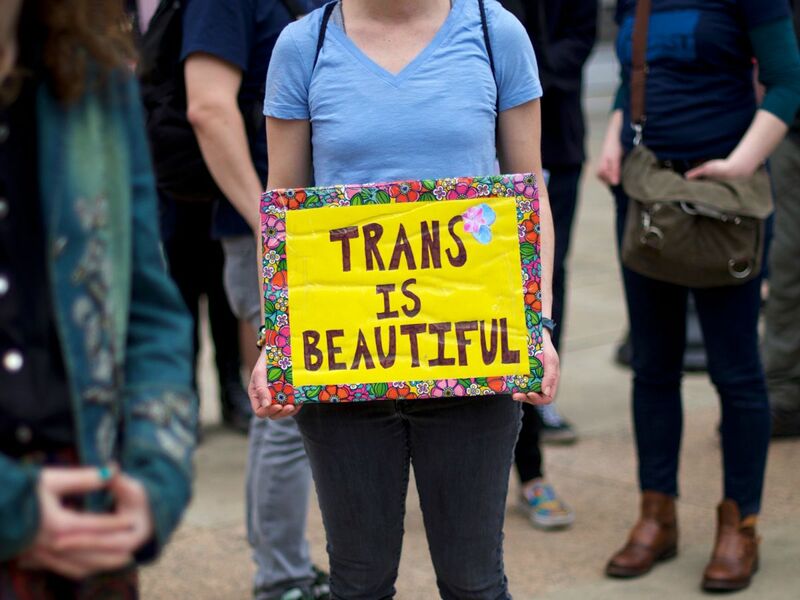 There’s a reason that the transgender bathroom bill is such a big deal. Although it certainly doesn’t stop the public from discriminating against trans people, it’s flat-out cruel to deny people the basic right to use the bathroom. As Riley and Jackson state in the video, trans people have higher rates of UTIs than cis people because they frequently can’t use the bathroom when they need to. Although clothes shopping should be one of the most fun parts of transitioning, Riley says she feels uncomfortable shopping in the women’s department on her own because she worries about being viewed as “creepy,” especially when shopping for lingerie. She explained that she usually brings female friends with her when shopping for clothes. The entire video is worth a watch, below.